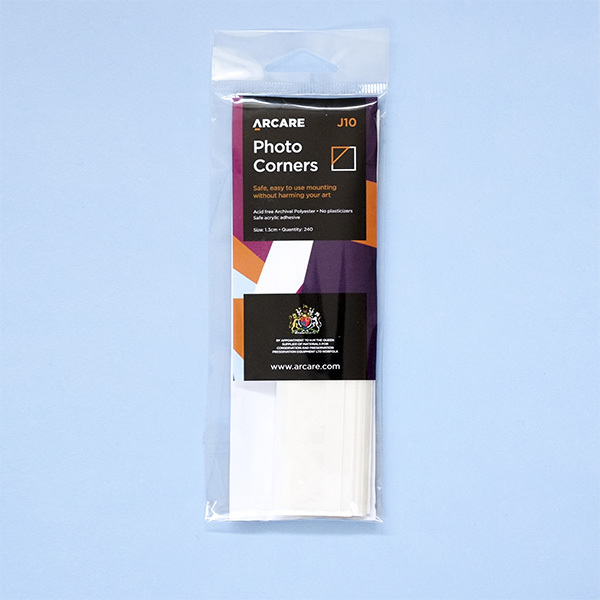 Self-Adhesive Mounting Photo Corners 13mm 240 are made from conservation quality polyester. They are self-adhesive. 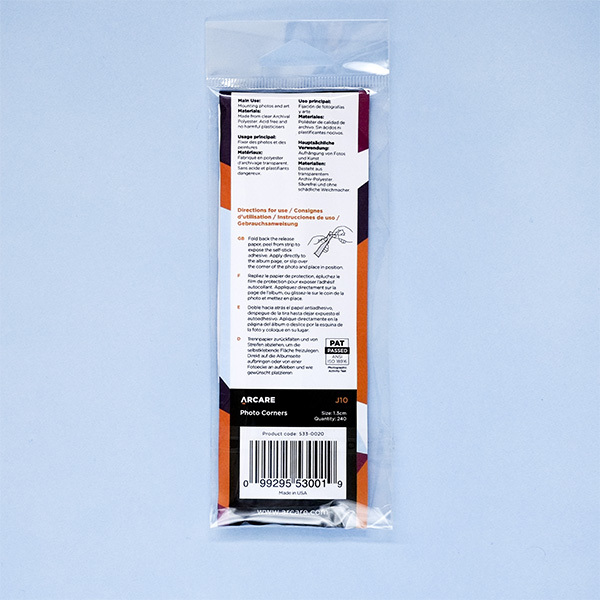 These clear corners provide a safe and easy way to secure photos, documents and artwork.